Sensitive Post: I talk about my belief in God, the Bible, prayers during our struggle, and a story from Luke about Zacharias and Elizabeth. While my relationship with the Lord brings me comfort, I know that “religious” things are triggers for some. 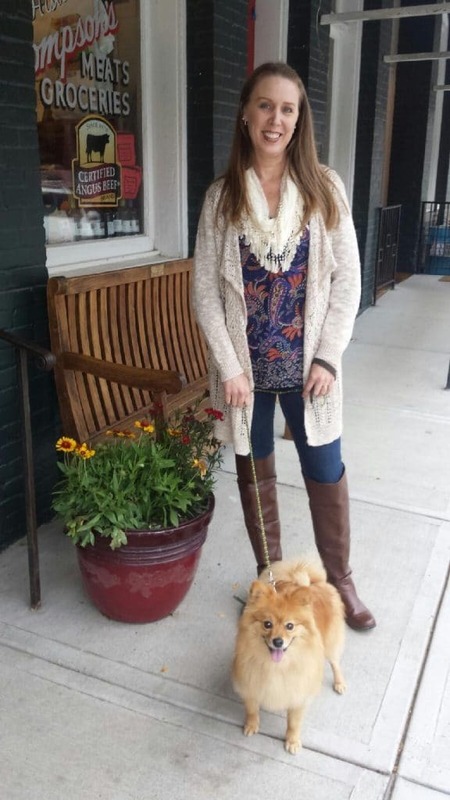 Why did my beautiful friend have to get an aggressive type of breast cancer and pass away at age 40? Why didn’t God heal her? I prayed. I prayed specifically. I asked Him to heal her on this Earth and to give us at least 40 more years together. But you know what God said to me? He said, “No.” He didn’t even give me 40 more months with my friend. And I miss her. And I want to talk to her. And I don’t understand. 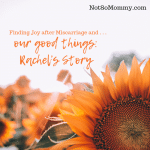 When we were going through our infertility battle, I did not realize that the crushing ache deep in my chest was grief. I felt the pain. I cried the tears. I questioned, “Why?” I prayed, and I waited. Hahaha. Very funny, God. You knew what I meant! So, I changed my prayer. I specifically asked God to please allow me to get pregnant. Honestly, I begged Him to let Dane and me have a biological child of our own. A lack of faith? A lack of God? Some believe that infertility and childlessness are due to some great sin, some lack of faith, some lack of prayer. Others decide that no loving God would ever allow such awful things to happen. So, they figure that life must be random. Remember in Bruce Almighty when Jim Carrey got to play God for a little while? He said, “Yes,” to every prayer, thinking that would make everybody happy. Quite the opposite happened, however. 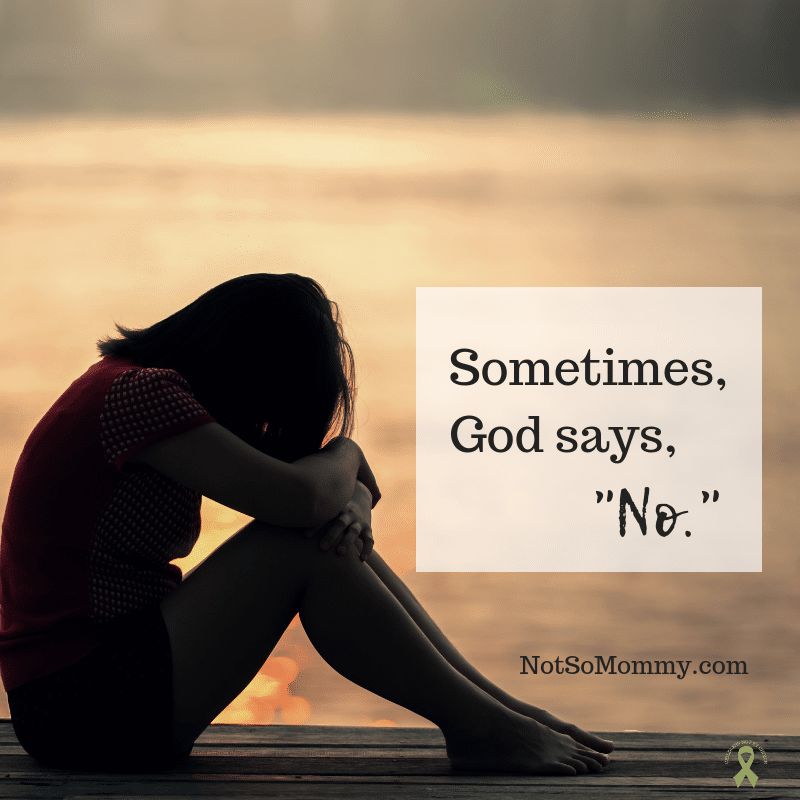 So, I figure that sometimes God has to say, “No.” For the life of me, I can’t figure out why He had to say no to healing my friend… But I have to accept that I will never understand everything this side of Heaven. And why didn’t He allow me to get pregnant? Well, I’ve rationalized that in my own mind. I like to believe that I was supposed to have an extra special relationship with my nieces and nephews, be an over-zealous dog mom to Maddie, be a host mom to Bruna, and an advocate for the childless community. Perhaps it’s just a coping mechanism, but it works for me. 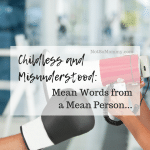 Whether my “reasons” for being childless are true or not, I do know one thing for sure. I am not being punished for some great sin or lack of faith. Let me say that again. 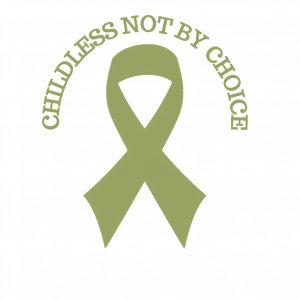 We childless are NOT being punished by God. When my hubby and I were in the midst of our battle, we had an incredible pastor. One Sunday, he preached about Luke 1: 1-7. He explained that the cultural tradition of the day believed that a couple with no child equaled sinful. Our pastor said this simply could not be true because Zacharias and Elizabeth, who were “righteous” and “blameless” before God, had no child. I believed this truth then, and I believe this truth now. With all my heart. Do not allow anyone (including yourself) to cause you to doubt the power of your prayers or the power of your God. I wrote this in my Bible on 23 September 2012, nearly nine years into our infertility battle. Wow Brandi so much of your struggle sounds like mine. God said no to healing my aunt of cancer some years ago and she left behind two young children, and many nieces and nephews who miss her so much. He has also said no to having biological children as my husband has no vas deferens – some weird genetic condition we could never have foreseen. Thanks for your blog, I only discovered it today and already it has helped me feel not so alone. Melissa, despite the circumstances, I am so glad that you are here! I truly believe God brings the right people to my blog at the right time. I am grateful that the words in this post resonated with you. And thank you for sharing part of your story with me. I am so sorry for the loss of your aunt and that you weren’t able to have biological littles. It is a blessing that there are others out there like us so that we can have those validating “me too” moments. Hugs, my new friend! Even though no isn’t what we want to hear, it is sometimes what we have to accept. I am quite sure He says yes many more times. Thanks be to God!